Peter Smith Publishing, c1960, 1965, 458 pages. EXCELLENT Condition Illustrated Hardcover. This book is ex-library with usual markings, library binding & fep removed. Pages & Binding are NICE & TIGHT! 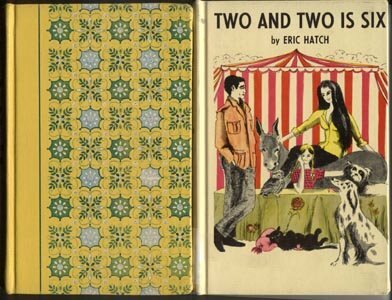 This listing is ONLY for the YELLOW Illustrated Hardcover which is "An Anthology of German Poetry", NOT for "2 and 2 is 6". From Novalis, Brentano, von Eichendorff, Heine, Lenau, Stefan George, Morgenstern, Trakl, von Hofmannsthal etc), the ORIGINAL German text of each poem being printed after the translation. All the translations were specially done for this edition! This book INCLUDES Both ENGLISH & GERMAN Versions of Each Poem! !